I’ve been looking at old sketchbooks/journals recently. 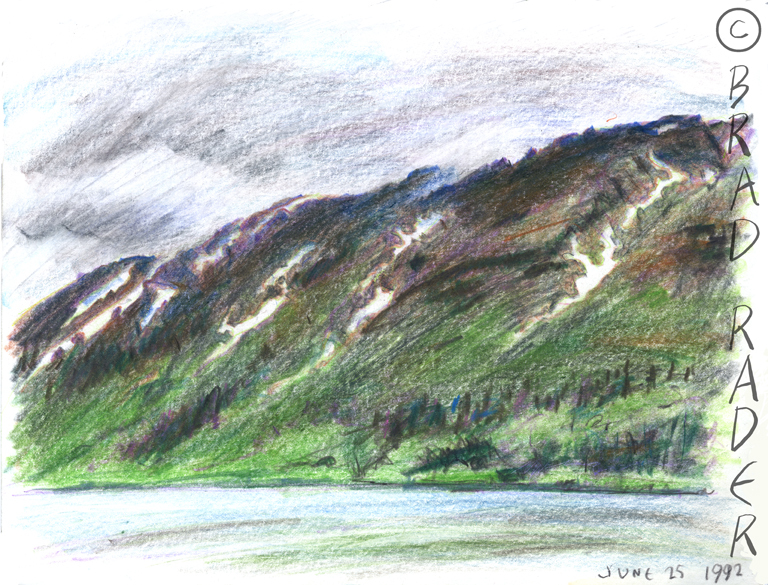 I came across one from the summer of ’92, in which my family and I spent several days at Crescent Lake, Alaska (an hour or so drive from my family’s home in Anchorage, Alaska), from June 25th to June 28, 1992. 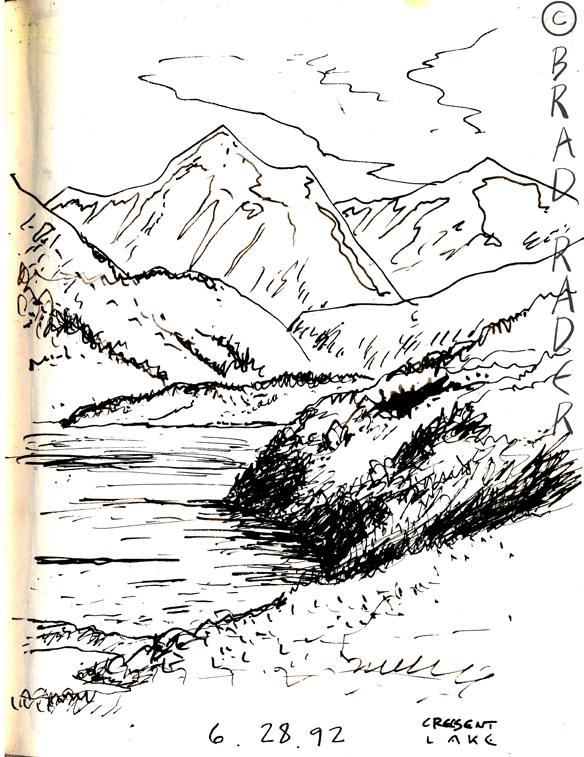 As I recall one can either hike to the cabin from the trail head (about a 4 hour hike) or get to the cabin by canoe or whatever boat one has. On this trip I was with my Mother, Maxine, my older sister Wendy, her husband Steve, their son Keith, my younger sisters Carrie and Lolly, My cousin Janet, my nieces Lia, Heidi and Krista. (Did their parents, my older brother Robin and his wife Maggie, accompany us on this outing? In any case, here are two drawings of the view from the cabin, of Crescent Lake itself, one executed at the beginning of the stay, in Prismacolor, and one at the end, using a fountain pen.